I acquired a Yashica-Mat TLR, I’ve learned a little more about the Banier, and the craft fair where I’ll be selling prints is almost here. 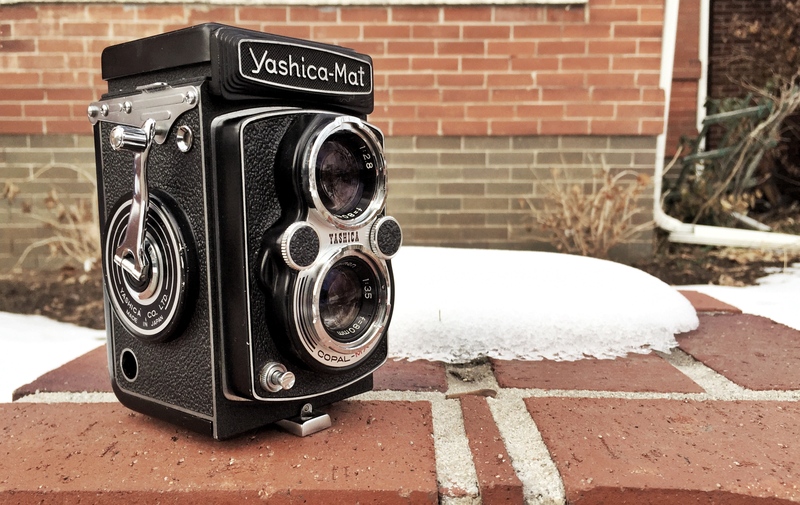 The Yashica-Mat was made from from 1957 until 1971 or 1973. Very few mentions of the production range online, and the existence of the massively popular later 124G model makes finding information about the plain old -Mat version difficult. The sources I could find said it was made until 1971. The serial number was the key, though, and it appears that serial numbers exist going up into 1973. Based on that site, I believe the serial number of my Yashica-Mat dates it as having been produced in January of 1971. It came to me in very good condition overall, though it definitely needed some cleaning. The silvering on the mirror is deteriorating a little bit, but it’s still very usable. The viewing lens is a big f/2.8 Yashinon, so the viewfinder is brighter than my Yashica-A or Yashica-D — both of which have only f/3.5 apertures on the viewing lenses. It’s only a half-stop difference, but it has a surprisingly big impact on the amount of light that gets to the ground glass. The taking lens is an 80mm f/3.5 Yashinon — a well-respected lens that is superbly sharp at f/4 or f/5.6 and smaller. My other two Yashica TLRs have f/3.5 Yashikor lenses. Yashikor is a 3-element, 3-group design similar to the Zeiss Triotar lenses in the Rolleicords Yashica was copying in the mid 1950s, while the Yashinon is a Tessar copy with four elements in three groups. Instead of the knob on my other two, the Yashica-Mat has a crank advance for the film. 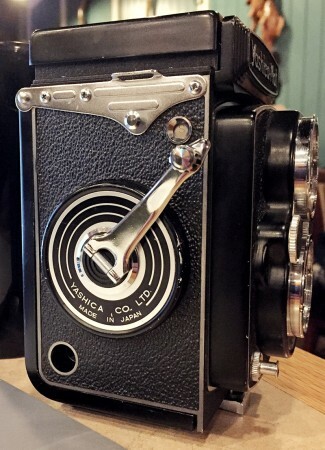 The A uses a ruby window, and with the knob to advance and a knob to focus, occasionally the hands get confused and move the film unintentionally. The D can’t be moved accidentally, as the knob and shutter are coupled. Without a ruby window, you just turn the knob until it stops — which works well but is a little slow, as it takes a couple twists to reach the stop. The crank advance uses some gearing to make it advance a whole frame, while the crank itself movies only about 40 percent of its full rotation. 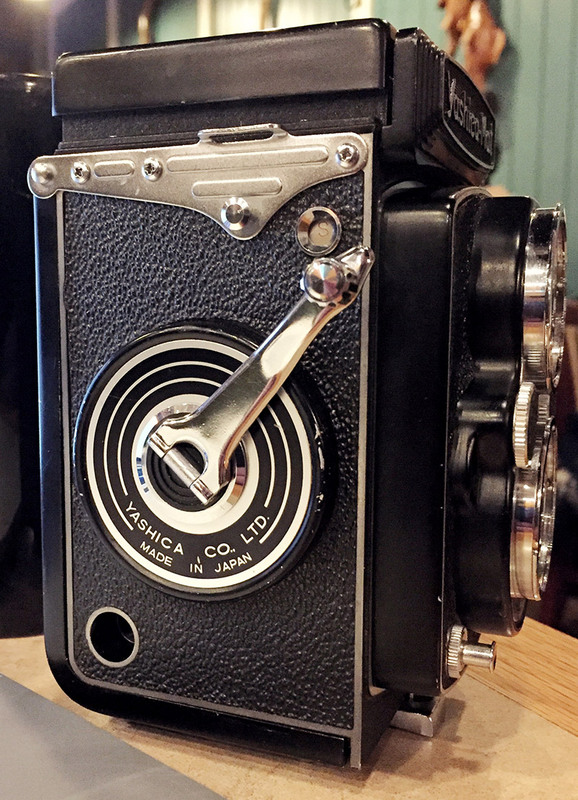 Like the D, the shutter is automatically cocked when the film is fully advanced and the crank returned to its resting position. The crank whips forward and back quickly and smoothly, and is really a joy to use. I’m sold. Overall, the Yashica-Mat is a better camera than either of the other Yashica TLRs I have — and it was the cheapest. The shutter speed adjust was sticky and the focus knob was messed up and spinning freely when I got it, but a few minutes with Google and a spanner solved both problems right quick. The faster viewing lens, sharper taking lens and truly brilliant crank (my first) have me completely hooked. Actually, I might swap in the mirror from my Yashica-D and see if the viewfinder gets even brighter… anyone want to buy a beat-up Yashica-D? 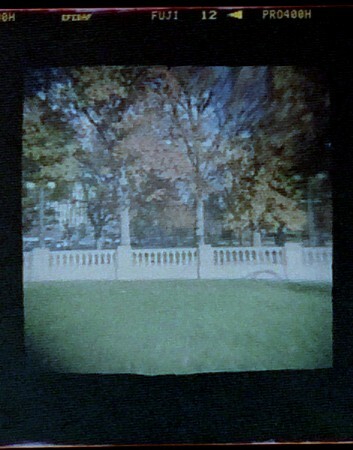 Got the film back from my tests on the Banier toy camera I mentioned a couple weeks back. They’re pretty terrible. Like, amazingly bad. As you can see at right, the mask isn’t remotely straight or smooth, so the pictures aren’t even technically square. It’s some sort of squarish polygon with evidence of burrs and other imperfections all the way around the edges. It’s not a 6×4.5, by the way. It actually makes approximately 4.5×4.5 centimeter frames on 120 film, so it’s basically a 127 camera. 127 film stock is 46mm wide and most cameras that use it make frames 4 centimeters in one dimension, or both. When you consider the insane and inconsistent vignetting and poor masking, after any necessary cropping to make a decent square, its images are probably no better than the ones from the Imperial Satellite 127. The negatives were also horrendously curled and wrinkled, probably because I discovered that it was winding the film around the outside of the top end of the take-up spool instead of around the center. I’m amazed I got anything, honestly, after the film came out of the camera wound all wrong and I had to step into a dark closet to re-roll it onto another spool, properly, and rubber-band it to take it to the lab. 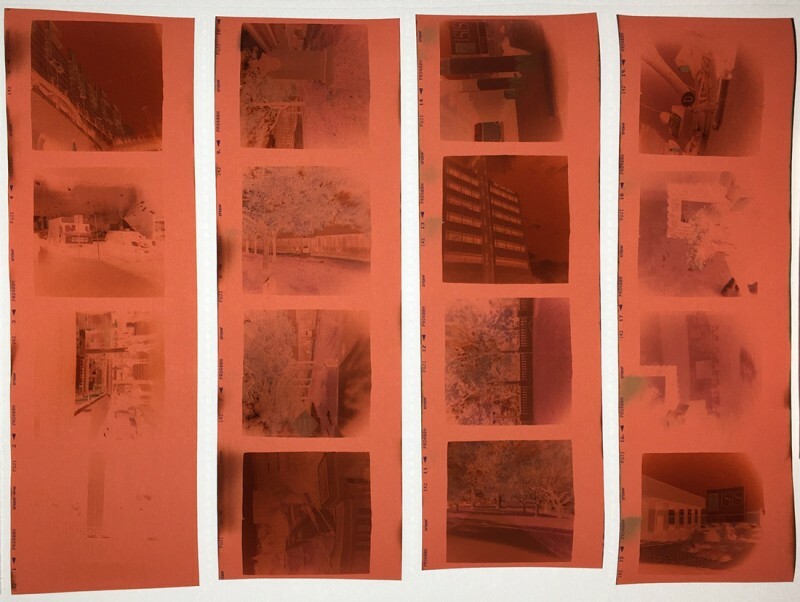 You can see some evidence of light leaks along the edges in the pseudo-contact sheet photo above. The lens is clearly not sharp, the film plane is clearly not remotely flat. I’ll still write up my traditional review and show off the example photos, but don’t expect much. I won’t be using it again, though it may remain on my shelf awhile. Also mentioned that week was the Holiday Craft fair where I will be selling prints, which is now even closer. In fact, it’s Thursday. 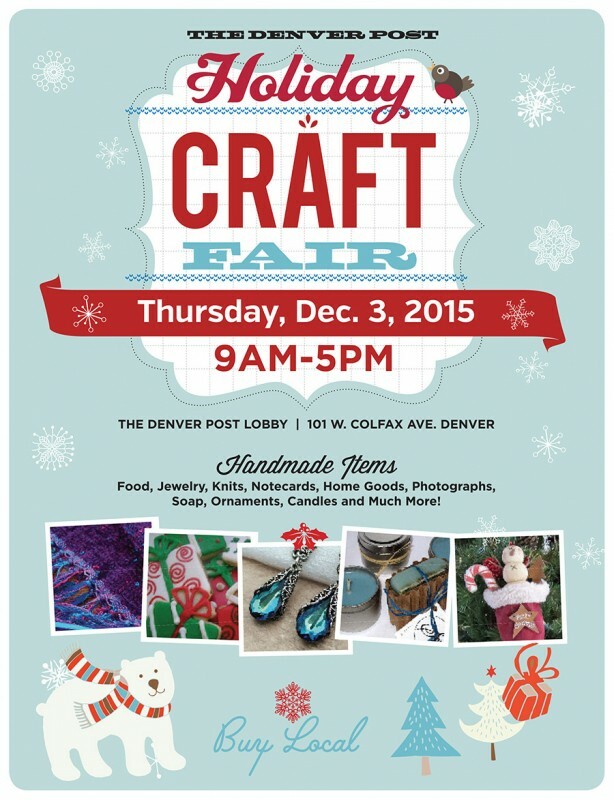 If you’re in Denver (or feel like coming to town!) stop by and say hello. I’ll have some prints available for sale, and appropriate apparatus for ordering more and different prints. Also, there will be some great knit goods from Kate. Everything will be suitable for wrapping (’cause, you know, Christmas is coming…). I will also have the behemoth Pentax 6×7 with me if you want to see what I make the pictures with. Of course, at this point I’m convinced no one will show up or buy anything, so: I dare you to come! Prove me wrong!